Newcomer - social climber? Is it just another cheap entry-level notebook from Packard Bell or does it really deliver quality for a low price? 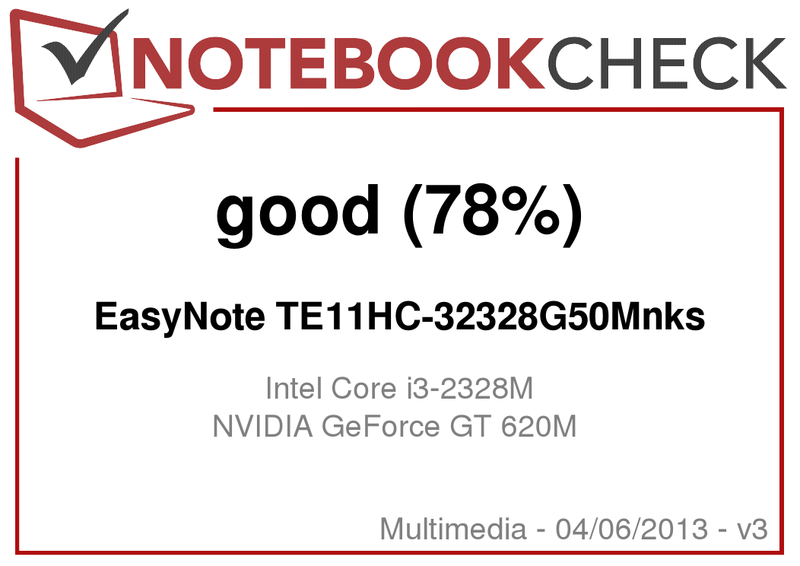 We scrutinize the EasyNote TE11HC-32328G50Mnks. EasyNote TS, TE, or TV? 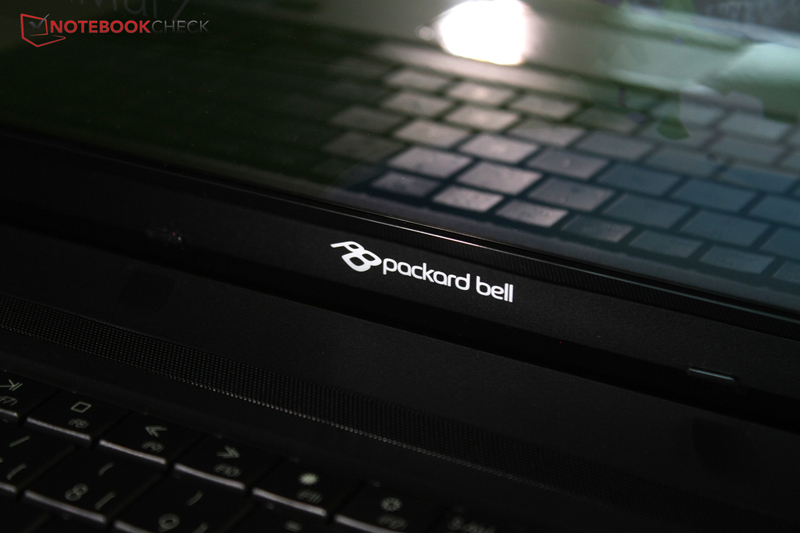 At first glance the notebook series of Packard Bell are not clearly categorized. 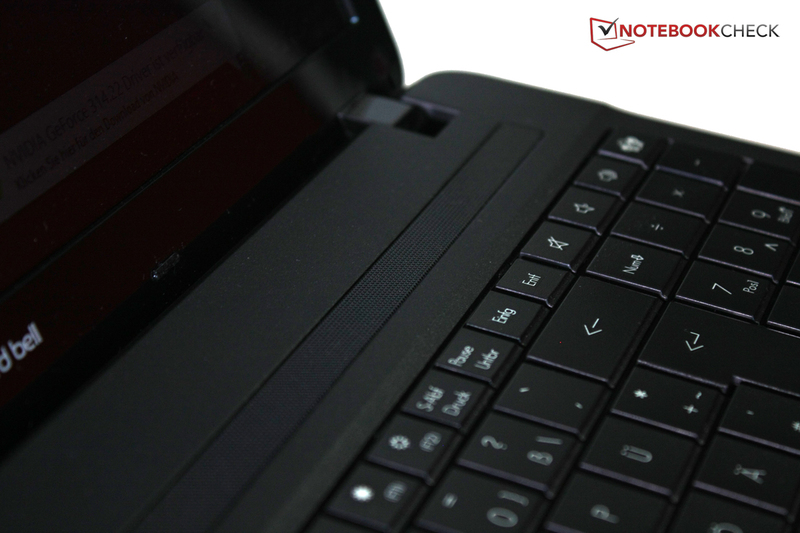 Our test sample belongs to the EasyNote TE series. These models either feature AMD-E, Intel Celeron, Pentium, or Core i3 processors and address users who look for a cheap notebook and do not demand much performance. Our test model currently costs 450 Euros (~$587). 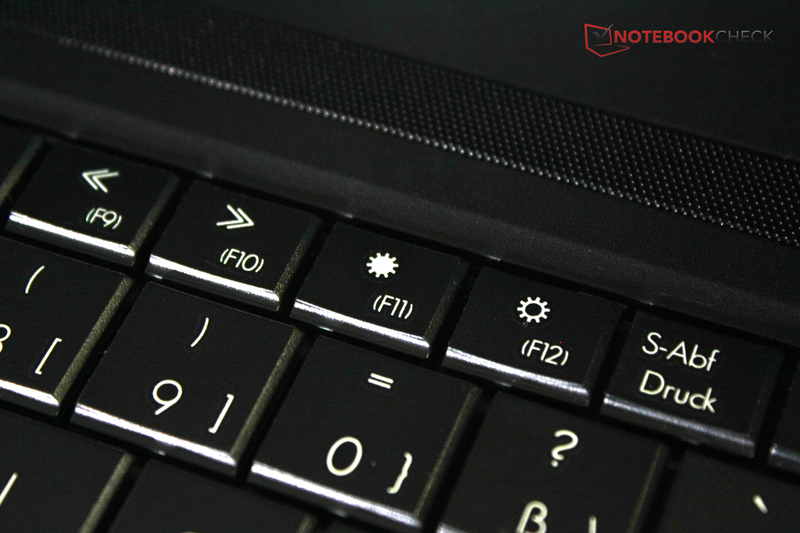 The EasyNote TE11HC-32328G50Mnks features an Intel Core i3-2328M and is the fastest model of the series to date. Furthermore, it comes with a discrete entry-level graphics card, Nvidia's GeForce GT620M, 8 GB RAM and a 500 GB hard drive. The competition of cheap 15.6-inch entry-level models is abundant: For example, Packard Bell's parent company, Acer, offer the Aspire E1-571G and Asus the K53TK with AMD processor. HP's Pavilion g6-2200sg is slightly more expensive, but only equipped with an Intel Pentium CPU. The HP Pavilion Sleekbook 15's slim design is striking. 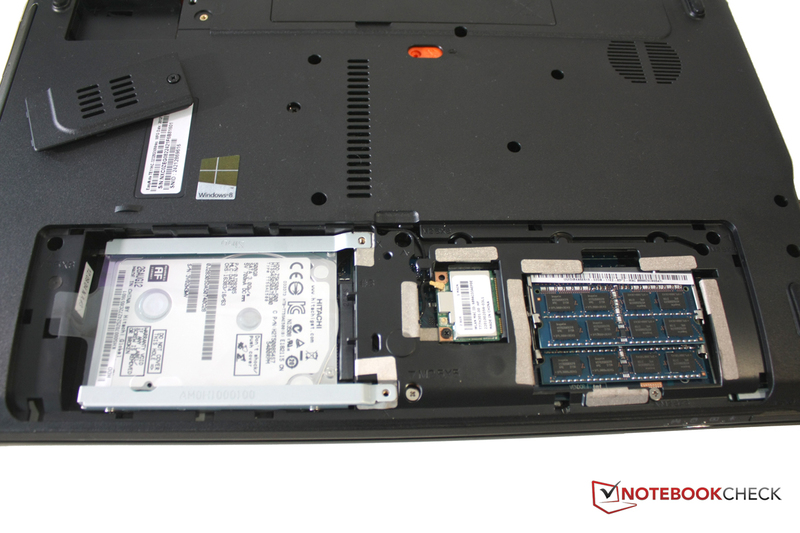 Learn how well the Packard Bell EasyNote TE11HC-323 competes. Packard Bell's EasyNote TE11HC-323 and Acer's Aspire E1-571G obviously stem from the same group: Apart from the logo the cases are identical. 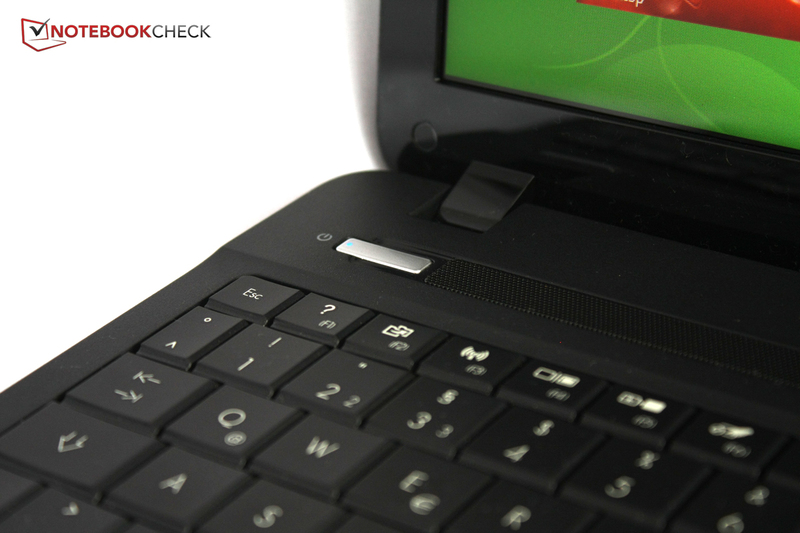 We liked the Acer Aspire E1-571G's stability and build quality in relation to the price. Only the keyboard gives under pressure. Overall, the same is true for the Packard Bell. However, the lid is not linked that seamlessly with the front of the display. Instead the edges are clearly palpable. In addition, the display does not appear to be very stable. 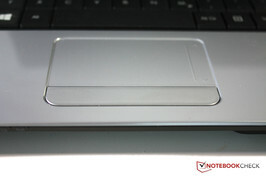 It can be clearly twisted and pressure against the outer lid becomes visible on the screen. 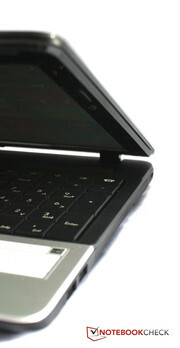 The keyboard also slightly yields under pressure, and looks compact. Unfortunately, the glossy palm rests and the lid are fingerprint magnets. The Packard Bell TE11HC-323 delivers the same interfaces as its brother from the parent company. It is disadvantageous that it lacks USB 3.0 ports and the interfaces are in the front areas of the case. 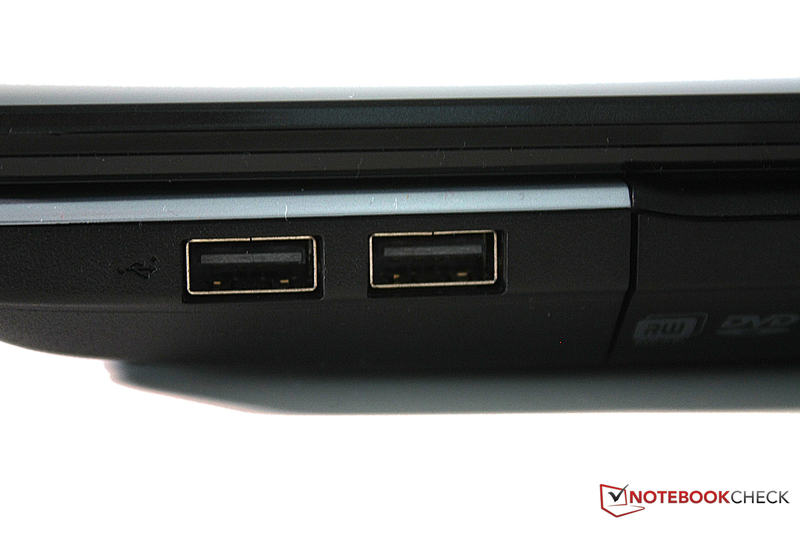 Furthermore, the HDMI port and a USB port are very close together. So, big USB connectors can hamper connecting the monitor cable. Again, we appreciate that the card reader supports many formats. 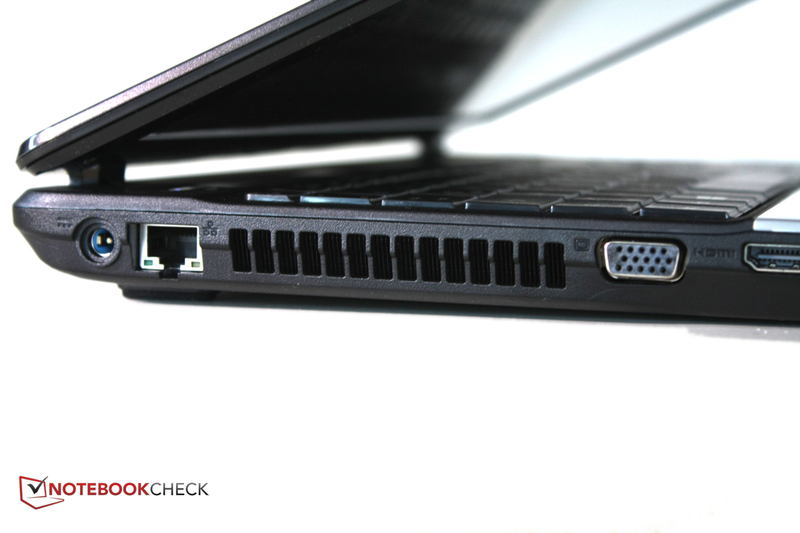 Our test model also features the same LAN and WLAN cards as Acer's Aspire E1-571G. Fortunately, the Packard Bell also supports fast Gigabit networks - while some more expensive models, e.g., Toshiba's Satellite L855D-10K, do not. We cannot criticize the reception quality of the WLAN module: The Windows status display even shows 5 bars with three walls in between and distances above ten meters. Like the Acer, the Packard Bell does not feature Bluetooth. After loosening two screws, the hard drive and RAM can be replaced. You could even install a better WLAN model. 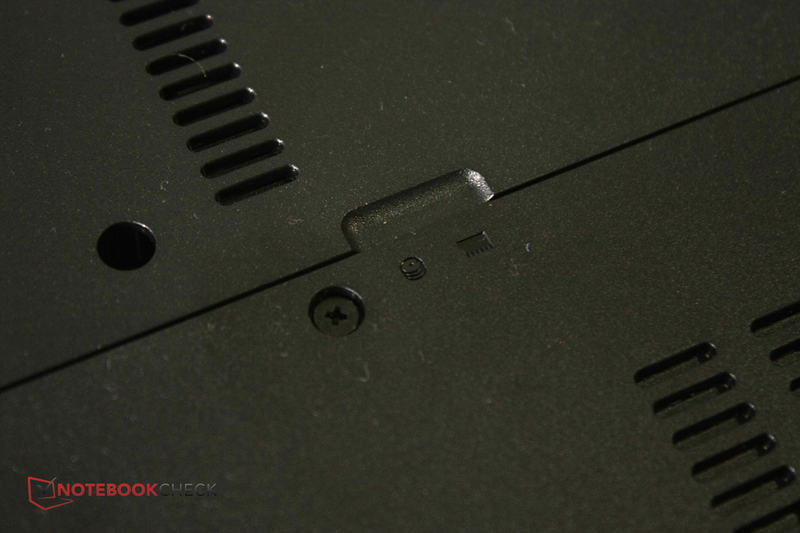 Furthermore, there is a small hatch on the back side, but it only covers a hole without interfaces. Apparently, only the manufacturer can add additional components there. Windows 8 in 64-Bit version is used as the operating system and runs smoothly on our test device. Recovery media is not included. Instead, an image of the OS is on a separate partition. Packard Bell installed hardly any useful programs or apps: Most of the preinstalled software is bloatware and can be safely deleted. Only the Social Network Hub and software called Power Button, an easy way to shutdown the system, are improvements. Packard Bell offers 24 months warranty. The user has to bring or send the device to the manufacturer. 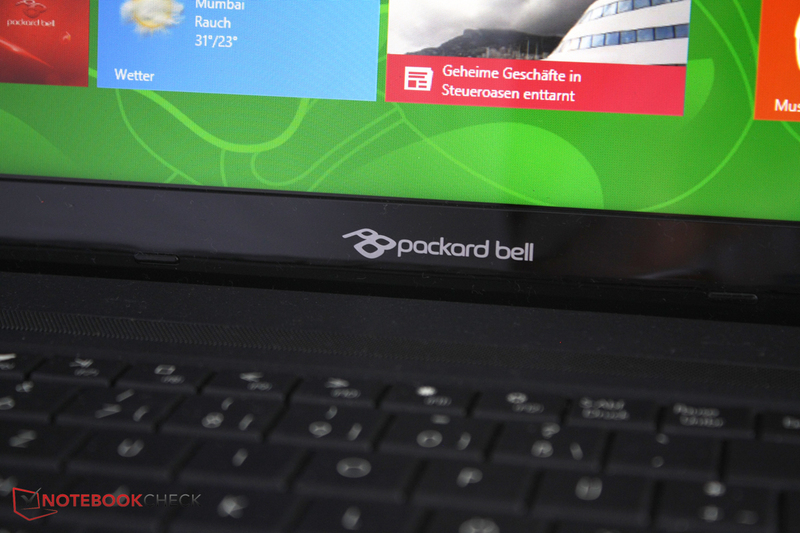 The Packard Bell shop no longer exists, but retailers still offer warranty extensions from the manufacturer. 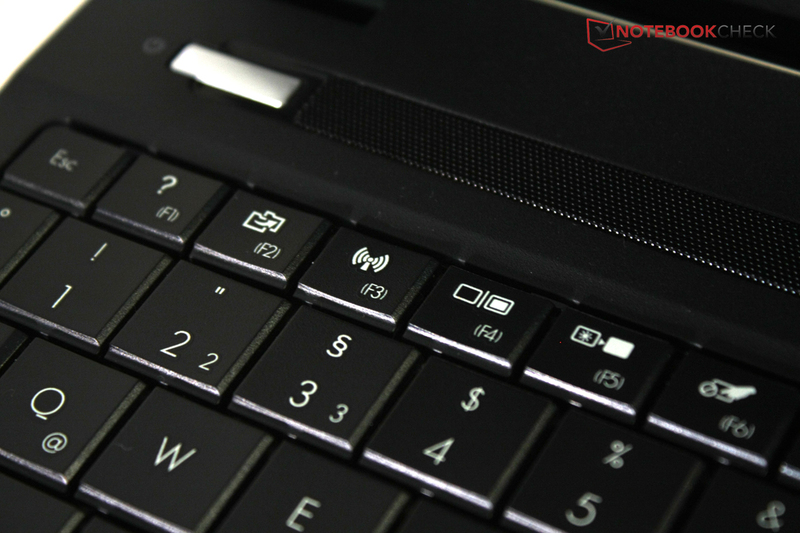 Even more expensive 15.6-inch laptops sometimes lack a number block as it leaves less space for the rest of the keyboard. 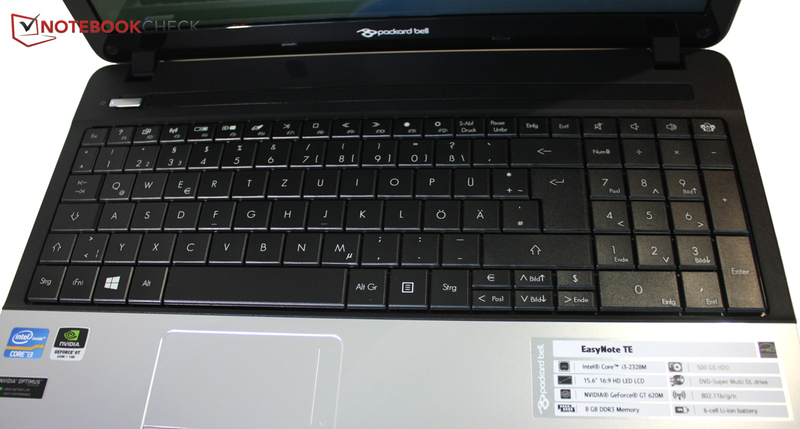 Packard Bell's TE11HC-323 features a dedicated number block and even hotkeys for volume control and Social Media Hub. However, the keys are very cramped and not notably separated everywhere. The stroke is very hard and the key travel longer than usual. As the keyboard gives in many areas, typing feels spongy and cheap. 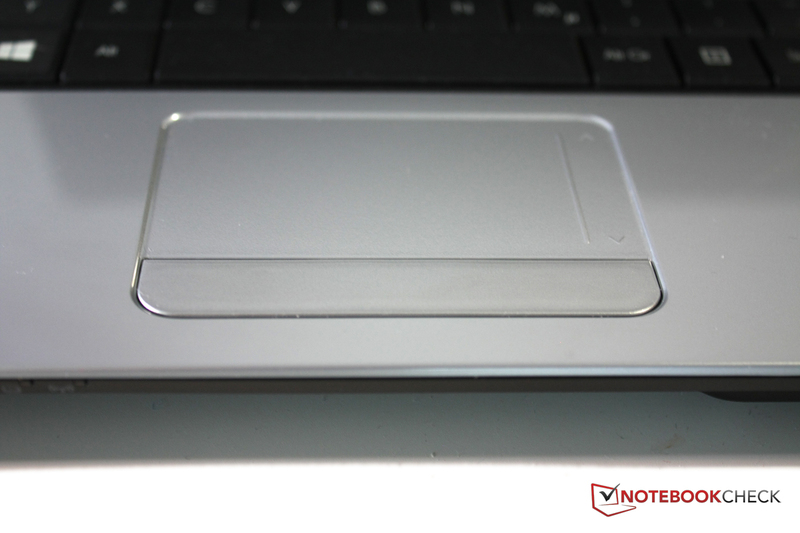 As in the Acer Aspire E1-571G, the touchpad is significantly moved to the left. 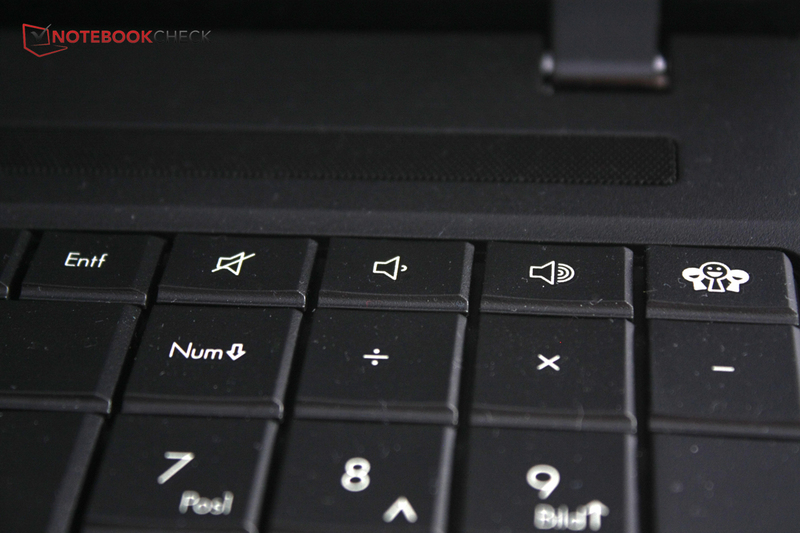 We like the clearly separated scroll area and the multi-touch gestures supported by the touchpad. The good gliding traits and the decent feedback of the buttons are further pros. The travel of the buttons is not too long. However, the single bar buttons give, so leave a cheap experience. 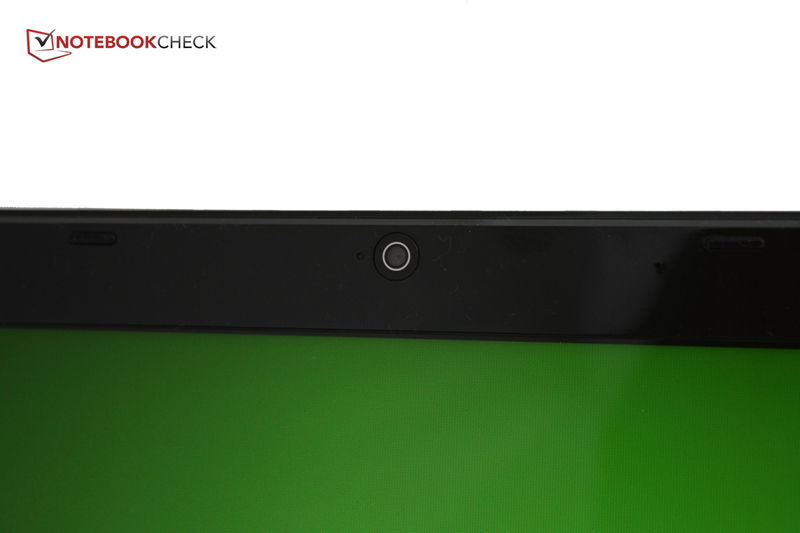 The Packard Bell EasyNote TE11HC-323's TN-LED display stems from LG and features a resolution of 1366x768 pixels. The display appears to be very useful for everyday usage: Colors look crisp and the distribution of brightness rather even. However, the reflections on the glossy monitor are distracting in bright rooms and outdoors. You can find the results of the our monitor analysis with CalMAN software and the colorimeter below. 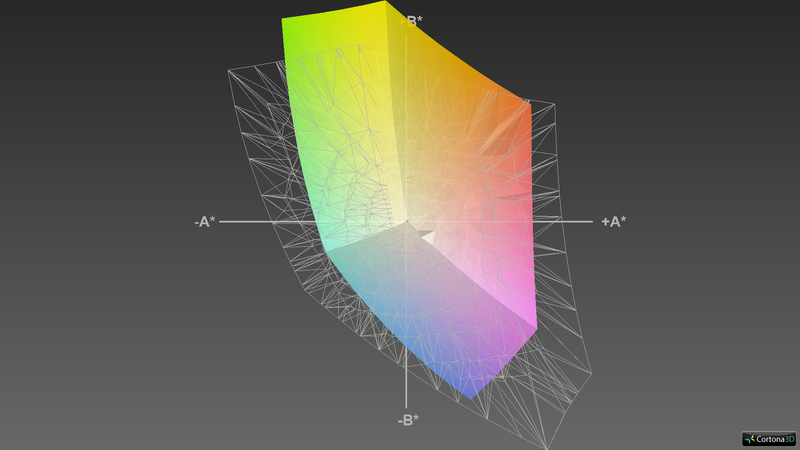 In general, all the colors significantly deviate from their ideal value in the sRGB reference spectrum. Only yellow tones are displayed as they should be. Furthermore, the display has, just as many other TN-LED models, a blue tint. Gray levels deviate too, only black and white are accurate. The good black value of 0.36 cd/m² gives deep black and the contrast of 639:1 is high compared to similarly expensive notebooks. 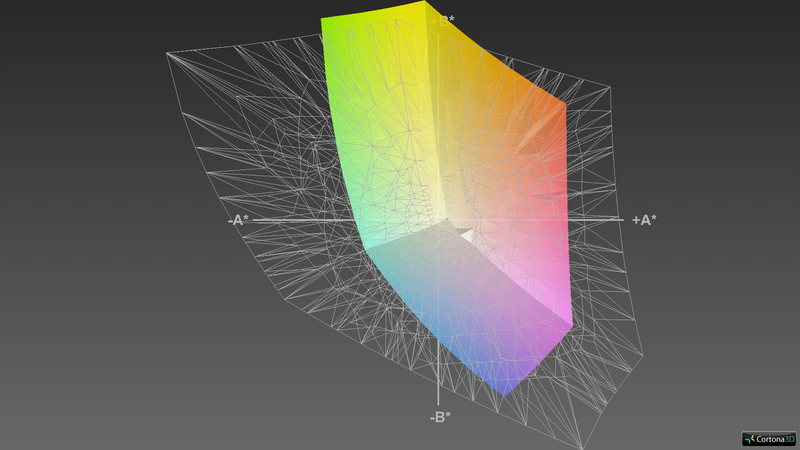 However, the test model cannot cover our reference color spectra. It can only top it in yellow tones. This is only important for professional applications and does not limit everyday use. While the average brightness of 213.3 cd/m² is very good for this category, it does not suffice for outshining heavy reflections on the glossy display outdoors. 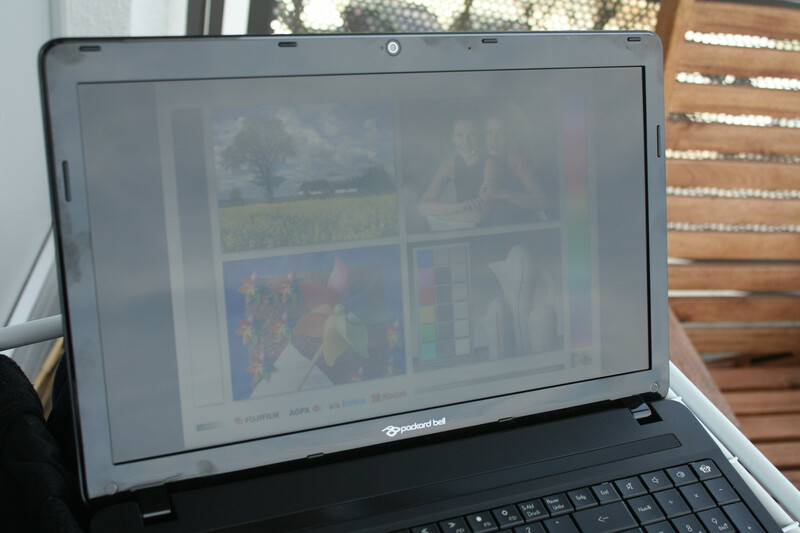 With the Packard Bell EasyNote TE11HC-323, you'll need to work in the shade or inside. 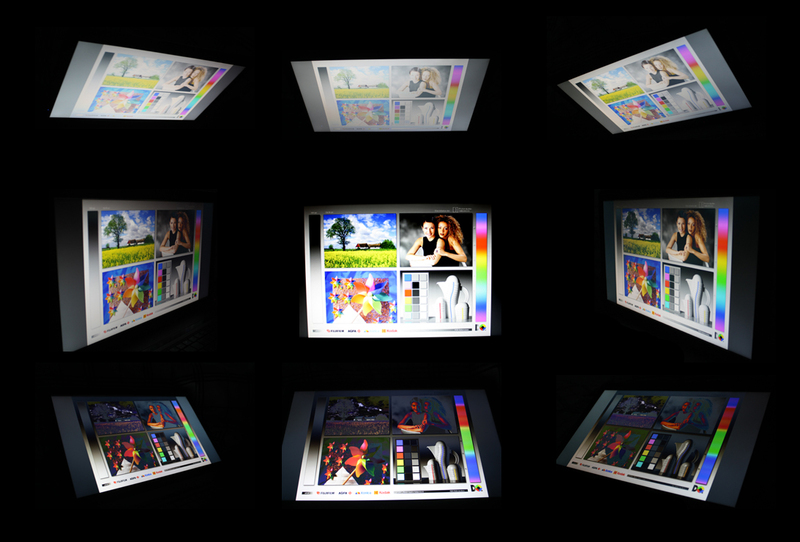 Usually TN-LED displays do not feature wide viewing angles and our test sample does not perform better here: While the viewing angles are fine in horizontal direction, colors very quickly distort along the vertical axis. 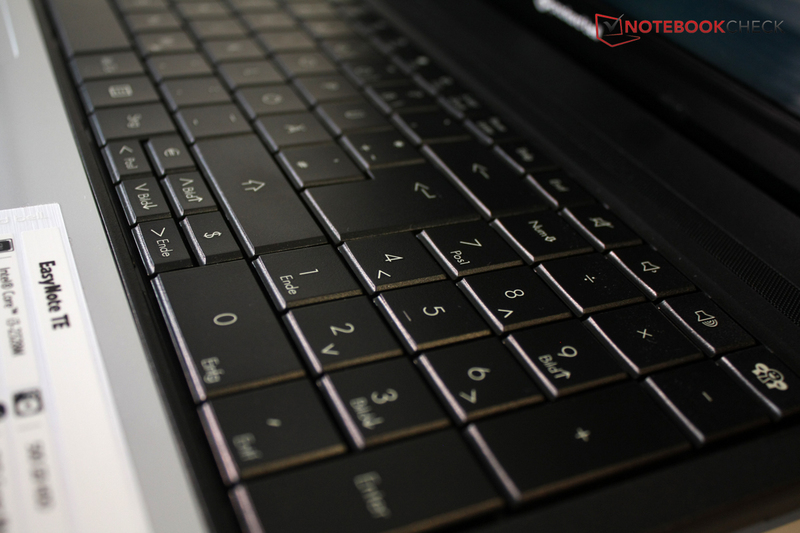 As already mentioned above Packard Bell's low-priced EasyNote TE-Series is designed for everyday tasks rather than for demanding users or gamers. 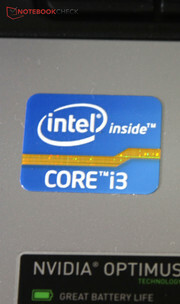 At least the system features an Intel Core i3-2328M with 2.2 GHz, which is faster than some of the competitors' processors. Furthermore, our test model comes with 8,192 MB RAM on two 4,096 MB modules in dual channel mode. Our test model even comes with a dedicated graphics card: Graphical tasks either run on the GeForce GT 620M from Nvidia or the Intel HD Graphics 3000 integrated in the CPU. Thanks to Nvidia Optimus the dedicated graphics card is automatically turned on and off without flickering for saving energy or delivering high performance. 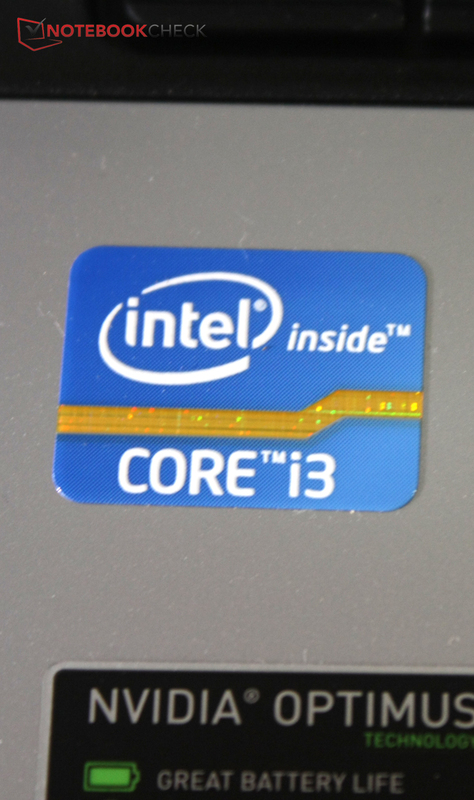 The Core i3-2328M is based on Intel's Sandy Bridge architecture, features two cores and can run up to four threads simultaneously. 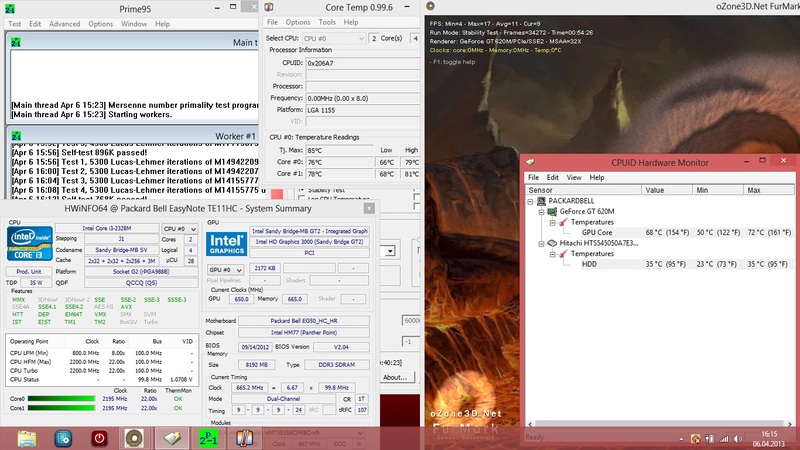 However, unlike Core i5 and Core i7 models it does not support Turbo Boost. The processor constantly clocks at 2.2 GHz on mains, but the base clock falls to about 800 MHz on battery. This is even true under load as long as the energy saving profile is selected. With the high performance profile, the processors runs at 2.1 GHz, but its full potential is only available on mains. 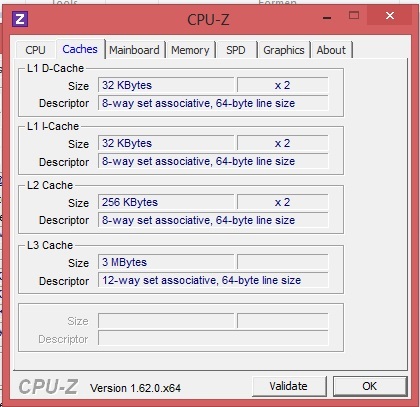 The CPU can outperform many AMD processors, which are up to 50% slower, e.g. the Asus K53TK's. Acer's Aspire E1-571G also features a Core i3. As it clocks slightly faster, it performs better in our comparisons. PCMark 7 examines the overall system performance and the interaction of the components. 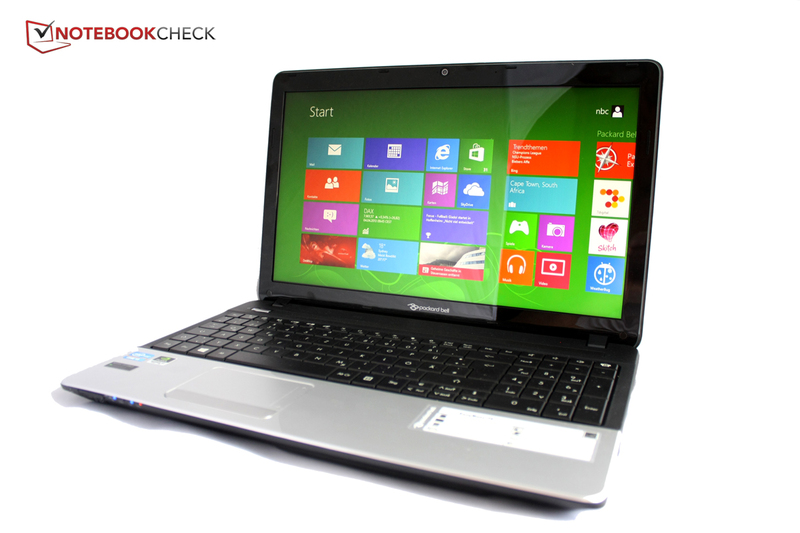 The Packard Bell EasyNote TE11HC-323 is on par with other Core i3 notebooks. Directly compared with similarly expensive competitors, the results are similar to the processor's: Devices with AMD processors are significantly slower and Acer's Aspire E1-571G is a little bit faster. 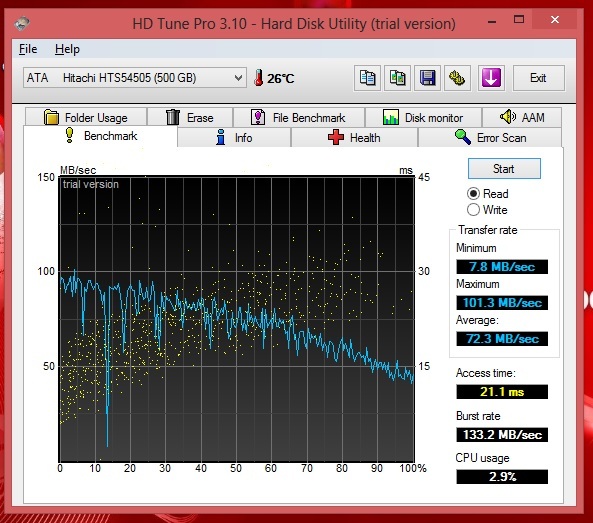 However, the hard drive performance plays an important role here too. The hard drive comes from Hitachi, has a capacity of 500 GB and runs at 5,400 rpm. In the HD Tune benchmark it achieves an average throughput of 72.3 MB/s and belongs to the slowest storage media in our database: Only the hard drive in the Asus K53TK is even slower. The access time of 21.1 ms is rather high too. Launching apps might appear sluggish under Windows 8. 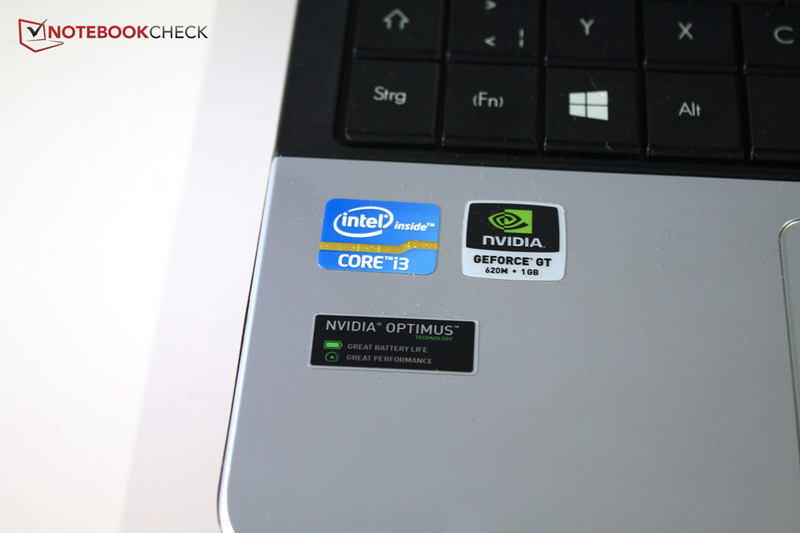 As already mentioned above, Packard Bell's notebook come with two graphics cards, which are automatically switched by means of Nvidia Optimus. While the dedicated GeForce GT 620M from Nvidia is an entry-level model which delivers sufficient performance for light gaming, the Intel HD Graphics 3000 is more responsible for everyday tasks, but saves energy. The Intel GPU constantly clocks at 650 MHz, but the GeForce can adapt the clock rate to the current work load. In low load scenarios the GeForce GT620M is completely turned off to save energy. 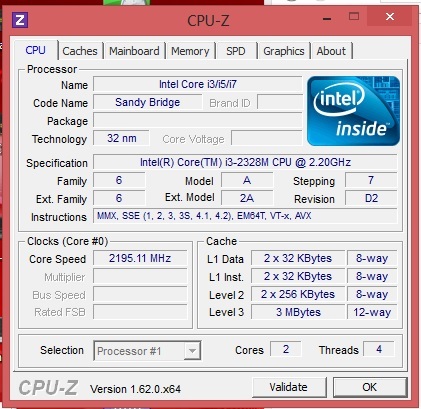 If more performance is demanded, it can overclock from the base clock of 625 MHz to 715 MHz. But this only works in mains operation. On battery, the clock rate is limited to a maximum of 625 MHz. 3DMark 11 proves that the dedicated GeForce GT 620M is significantly faster than integrated GPUs. 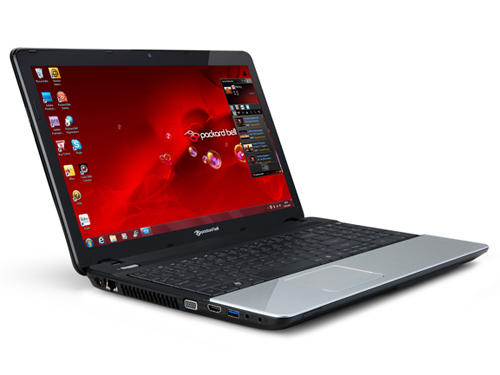 Depending on the CPU, the AMD Radeon HD 7670M outperforms the Packard Bell EasyNote TE11HC-323's graphics performance to a smaller or greater extent. E.g., HP's Pavilion g6-2200sg is 18% faster. Many current games run on Packard Bell's EasyNote TE11HC-323 with heavily reduced resolution and minimum details. Graphically less demanding games like Diablo 3 also run smoothly with higher details and native resolution of the display. Many competitors, e.g., the Asus K53TK or the Pavilion g6-2200sg, can accomplish this too. Nevertheless, we would recommend spending a little more money on a powerful multimedia notebook, for example Dell's Inspiron 15R SE, if you want to play more frequently. The gaming experience particularly of future game releases will be simply better. 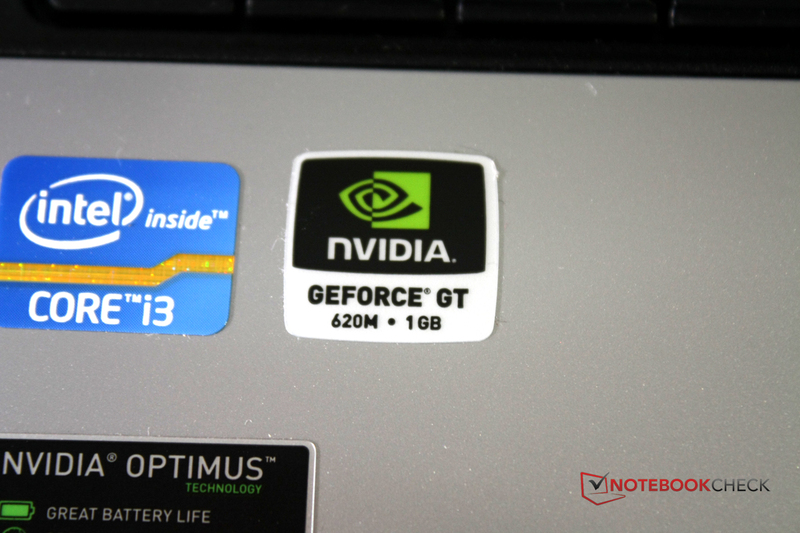 Detailed gaming tests of the GeForce GT620M are available here. 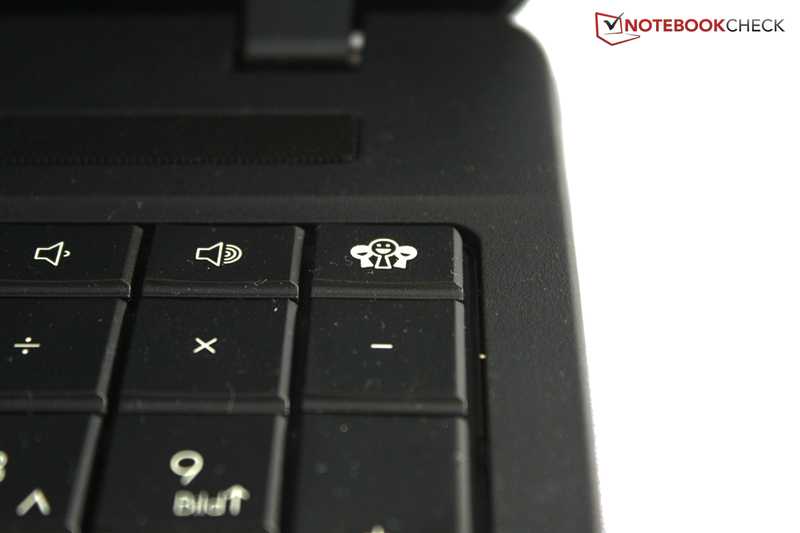 While idle the Packard Bell EasyNote TE11HC-323 is silent. The fan does not even run at low load. Once the notebook is stressed the system noise increases to an average of 34.5 dB, which is still hardly audible. The DVD drive is only slightly louder during video playback. 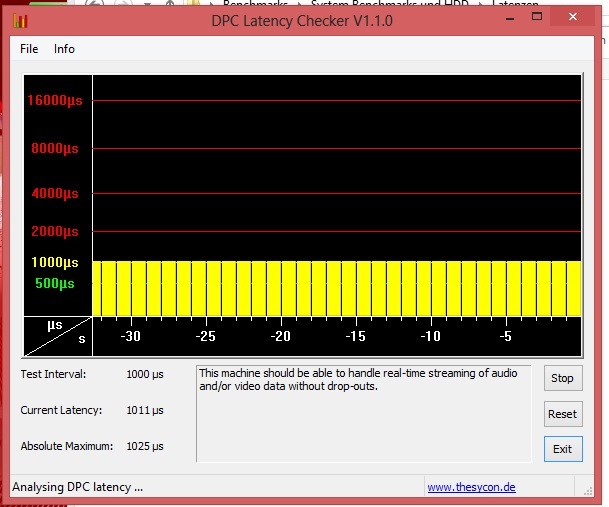 35.2 dB will hardly spoil the video experience. Our test system performs well in the stress test (Prime 95 and Furmark run simultaneously for an hour). In the 3DMark06 run immediately afterwards it achieves 8,061 points, which is hardly slower than in cold state. The CPU temperature hovers around 75 °C under full load. As the temperatures are significantly lower during everyday tasks this does not pose a problem. The GPU temperature of 68 °C is a little bit lower and uncritical: Only continuous operation at temperatures above 70 °C, might shorten the life of a chip. Using the Packard Bell EasyNote TE11HC-323 on the lap should not pose a problem as long as you do not operate the notebook at its limits. While idle, the temperature increases to a lukewarm maximum of 34 °C on the bottom side. The power adapter is also sufficiently dimensioned and stays, at 39.6 °C, exemplarily cool under lengthy full load. (±) The maximum temperature on the upper side is 40.5 °C / 105 F, compared to the average of 36.5 °C / 98 F, ranging from 21.1 to 71 °C for the class Multimedia. (+) In idle usage, the average temperature for the upper side is 29.4 °C / 85 F, compared to the device average of 30.9 °C / 88 F.
(-) The average temperature of the palmrest area of similar devices was 29.1 °C / 84.4 F (-6.8 °C / -12.2 F). Do you like music or enjoy watching videos? If so, buying decent speakers or headphones is strongly recommended. The sound of the built-in speakers is rather thin and some tones are clearly distorted. The sound without basses suffices for occasional video telephony or giving a piece of music a quick listen to. But music fans really won't be happy. Overall, the Packard Bell TE11HC-323 is faster than several competitors. Does it also demand more energy? In some of our measurements it performs even better than its competitors, e.g. while idle. Upon increasing load on the components, the energy consumption rises too. At average load, the power consumption of 52.1 Watt is higher than the competitors'. So, a mixed picture emerges here. In battery life, the Packard Bell achieves passable results: You can surf the internet via WLAN for 3.5 hours on a single charge. However, it is disappointing that the competition can reach longer runtimes with smaller batteries. Acer's Aspire E1-571G achieves 4:27 hours with a 44 Wh battery. The DVD runtime of 3:09 minutes is typical for this category. All things considered, there are better products on the market if battery life is the most important aspect: e.g. the Asus K53TK. 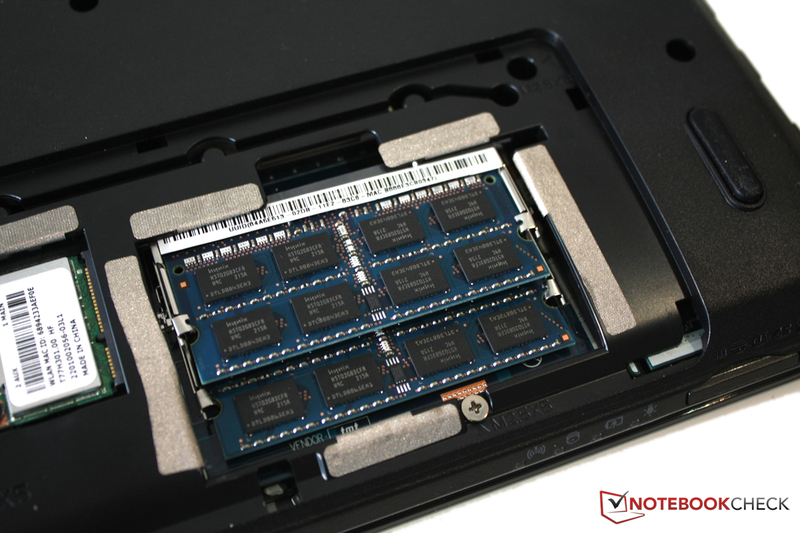 If you do not want to spend much money on a notebook and are aware that you won't get a unibody case and high-performance components for a low price, you can safely consider the Packard Bell EasyNote TE11HC-323. It has a simple, yet decently built case and delivers the usual performance of its category, while waste heat and system noise stay low. This is definitely not the right notebook for you if you demand a long battery life, as the Packard Bell's is only mid-range. The keyboard is also not a highlight, but you can work with it. In connectivity, we would wish for USB 3.0 and Bluetooth. The performance is better than many similarly expensive competitors'. HP's Pavilion g6-2200sg offers the best keyboard and a better performance for the same price. The Pavilion Sleekbook 15 features a slim and light case and better connectivity, but no gaming power. Asus' K53TK scores points with a decent battery life, but could be faster. Acer's Aspire E1-571G uses the same case and delivers similar connectivity, but its build quality is better in detail. Which notebook you finally go for, depends on your personal needs. 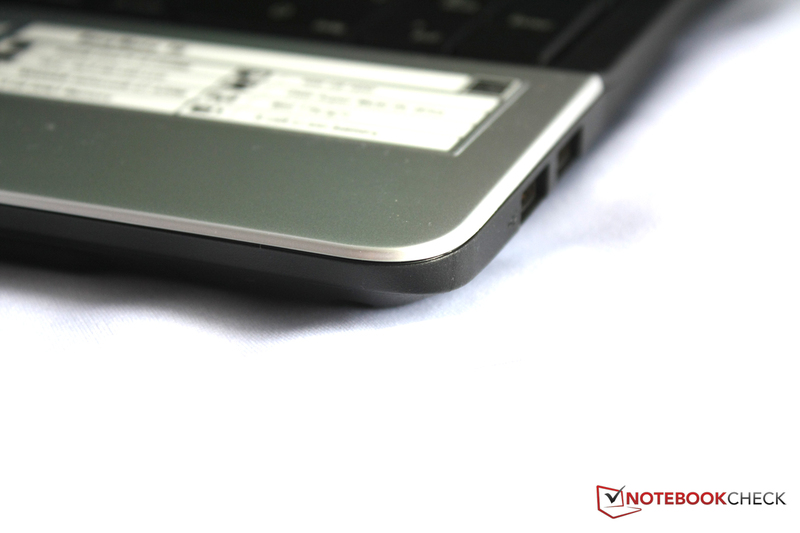 Anyway, with its high performance, the Packard Bell EasyNote TE11HC-323 performs well in its category. 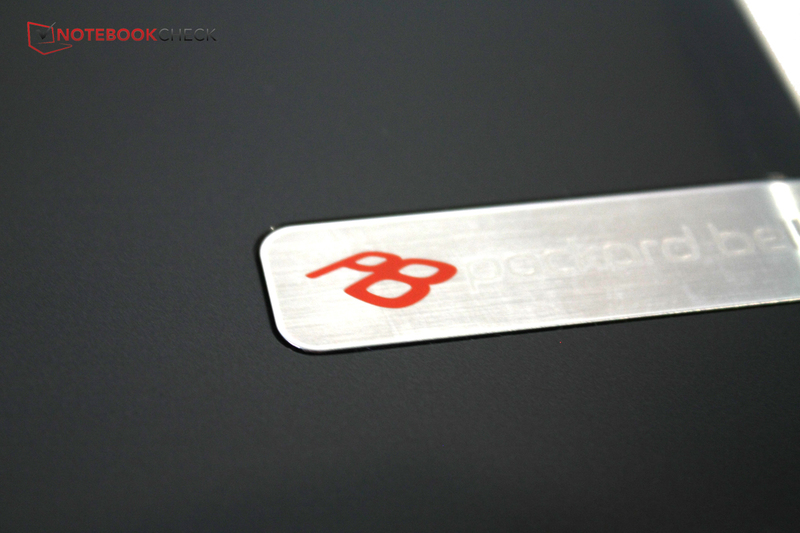 Packard Bell is well known for cheap notebooks. ...and even some games in reduced details. The system does not get hot and stays rather silent. ...behind a hatch fixed with two screws. ...and even the WLAN module there. USB 3.0 is not available. In this aspect many competitors perform better. The speakers do not sound good. The webcam's resolution of 0.9 MP is very low and suffices for just video telephony at best. All things considered, the Packard Bell is a decent entry-level notebook. ... and a graphics card from Nvidia work inside. 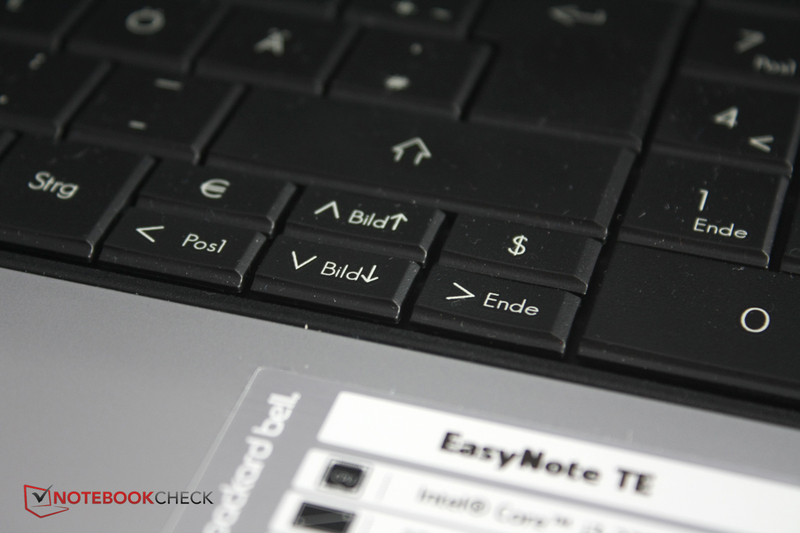 With a retail price of 450 Euros (~$587), the EasyNote TE11HC-323 is indeed low-priced. Design and build quality are simple, but okay. A lot of glossy plastic is not only used inside. ... help, WLAN and screen switch are standard. ... and volume control are actually appreciated. But Euro and Dollar keys, which limit the size of the double-functioned arrow keys, are too much. 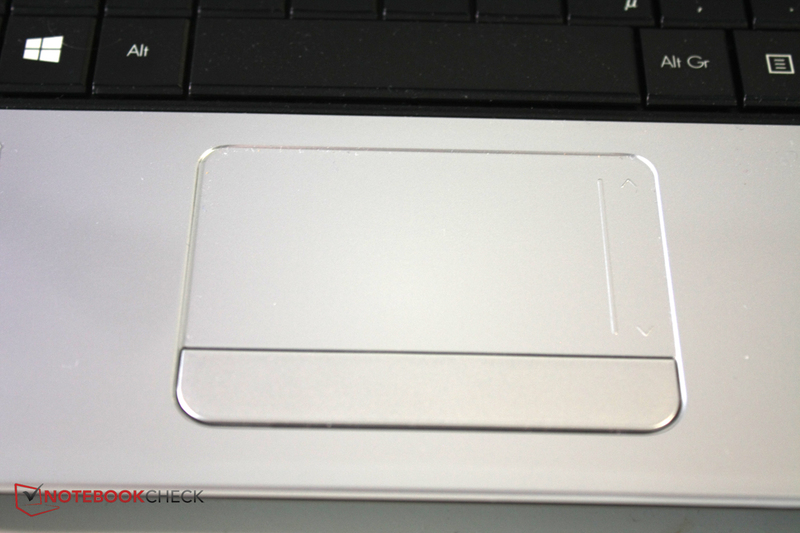 The touchpad can convince, although its buttons appear cheap. This is mainly due to the relatively high system performance. Decent performance for money ratio. Even cheap notebooks should feature USB 3.0 nowadays. How many unusual hotkeys Packard Bell used for the keyboard. Acer Aspire E1-571G, HP Pavilion g6-2200sg, HP Pavilion Sleekbook 15, Asus K53TK, Dell Inspiron 15R.